Authority Reports > Ketogenic > Perfect Keto Review: Does It Really Do What It Promises To Do? We know that finding the right product can be challenging, considering all the various keto supplements and other diet pills available on the market. That is why we decided to make things easy for you, by selecting the best products. 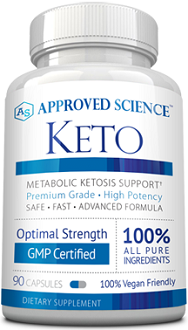 This manufacturer alleges that it is easier and faster to get into ketosis by using this product, allowing you to reap the benefits of ketosis without extended fasting or following a strict diet for a number of days. Manufacturer Information And Claims About Perfect Keto? Perfect Keto is a low-calorie, sweet-tasting product intended for athletes, those who struggle with weight gain, and those that want to follow a keto diet. 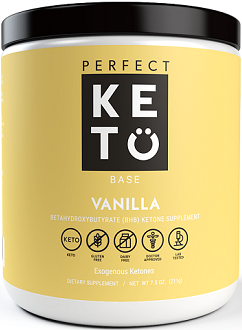 The manufacturer claims that Perfect Keto was developed by doctors, and is made from high-quality beta hydroxybutyrate (BHB). * It does not contain any carbohydrates, gums, sugars and fillers. It is available in peach, chocolate, coffee, vanilla and salted caramel flavors. You can use it in the morning, before your workout and anytime during the day. The manufacturer claims that taking keto pills, specifically exogenous ketones is a perfect and an effortless way to get the benefits of nutritional ketosis whenever is best for you. It provides energy to the entire body, with the brain and muscles included. 3,000 mg of Medium Chain Triglyceride Oil Powder. BHB is a ketone body that can be used as an energy source by the brain when blood glucose is low. This happens when you follow a keto diet because the body does not use carbohydrates for fuel as usual. That is when keto pills are useful. BHB helps strengthen muscles, and reduce pain and fatigue during the keto diet. Sodium, magnesium and calcium work as electrolytes that are a requirement when on low-carb diet. These BHB derived salts work together to give your body a boost, strengthen your muscles and help you manage your energy. However, potassium BHB is missing in this product, yet it is recommended. A product that contains all four is of a good quality. Its exclusion could compromise the effectiveness of the product. The MCT provides nutritional support during training, increases exercise performance, decreases body fat and increases lean muscle mass, and aids in weight loss. Other ingredients include: Acacia Powder, Indian Spray Dried Coffee, Natural Coffee Flavor, Stevia Fruit Extract, and Monk Fruit Extract. 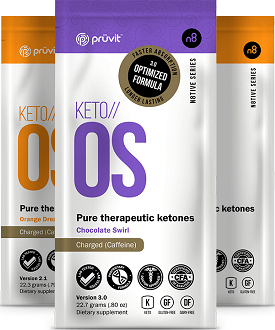 Keto Base is available in various flavors, such as as chocolate, salted caramel, vanilla, coffee and peach. Contains zero carbs, zero gums or fillers, and zero sugars. The website does not just provide information about the product, but also a background information on what ketosis is. It contains BHB blend of 11,380 mg, however, it is not indicated how much the daily serving is. It does not have Potassium Beta-Hydroxybutyrate, which is a problem because, a good product needs to contain all four derived BHB salts. It has no bioperine, which could increase the effectiveness of the product, as it can optimize absorption and makes a product work faster. Some individuals may battle to read the ingredients and instructions on the label of the product as it is small, even when zoomed in. Additionally, there is no money-back guarantee on this product, which means that you cannot return it for a refund if you are not happy with the results. Furthermore, there is no information about how shipping takes place, how long it takes to receive the product, etc. As with other ketosis pills or supplements, you can expect to experience side effects, like constipation, diarrhea, dizziness, Low Blood Sugar, frequent urination, drowsiness, sleeplessness, muscle cramps, heart palpitations, bad breath, flu-like symptoms, diarrhea and constipation. What is the dosage for Perfect Keto? Take this keto advanced weight loss product in the morning for mental performance, before workout for energy production, between meals for extra fat burning and after eating carbohydrates to get back into ketosis. Mix one scoop of Keto Base into 8 to 12 ounces of water or your favorite beverage, with or without food. You can use it up to three times a day. If you experience any stomach discomfort, you are advised to decrease the dose until your body adapts to burning ketones for energy. Furthermore, even though not indicated by the manufacturer, you should consult with your healthcare professional before using this supplement. Especially for those who are pregnant, breastfeeding, have a medical condition, or are taking medication. Perfect Keto appears to be promising for supporting a ketosis lifestyle. Unlike most keto pills, Perfecto Keto is designed to accommodate various customers. * They provide five different flavors of keto base so that customers can choose a flavor that they like. In addition to that, it has no added sugar, gums or fillers added. The manufacturer offers discounts of 15% off any product. Like many other keto reviews that we have read, this product also has positive and negative reviews. However, there are many things that we do not like about this product. There is no mention of a money-back guarantee, which means that you are on your own, and cannot return the product if unsatisfied. Moreover, the daily allowance is not indicated, and it does not contain all the recommended BHB derived salts. The price is very high compared to the price of similar products on the market. It is also not covered by a money-back guarantee. Lastly, it has some side effects. This indicates that it is not the best ketone supplement on the market. A best keto supplement should be backed by at least 60-day money-back guarantee; have mostly positive consumer reviews; have all the clinically proven and recommended ingredients; and must have clear instructions on how to use it. Previous: PureFit KETO Review: How Safe And Effective Is This Weight Loss Product? 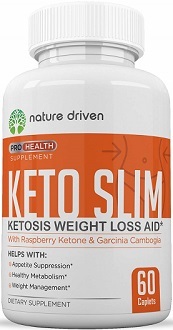 Next: Nature Driven Keto Slim Review: Will This Keto Supplement Provide Good Results?